It should be plane to anybody who has traveled by air in recent years that the skies aren’t nearly as friendly as they used to be. Cramped seating, oversold flights, lengthy delays, reduced meal service and misrouted luggage are only the tip of the iceberg; for those with hearing loss in Walnut Creek and other Bay Area cities, a flight brings additional challenges. Plan in advance. Write down a list of everything you’ll need so you don’t forget to pack something important. This includes hearing aids, of course, as well as accessories such as extra batteries and a cleaning kit. Before you leave, schedule an appointment with your Walnut Creek audiology specialist for a clean-and-check to ensure your hearing aids are in top working condition. It’s a smart idea to print up a copy of your itinerary, including hotel and rental car confirmations, to assist with communication efforts. Let TSA know you are wearing hearing aids. When it comes time to pass through the dreaded security checkpoint, you don’t have to remove your hearing aids – they won’t be harmed by x-ray equipment – but letting your TSA screener know you are wearing them may save you from a pat-down. If you aren’t wearing your hearing aids, refrain from placing them directly on the conveyor belt or in the plastic bins; this could cause static electricity to discharge, potentially damaging them. Take advantage of induction loops. An increasing number of public facilities are being outfitted with hearing loops – wire coils that transmit electromagnetic signals directly to hearing aids and cochlear implants, allowing wearers to hear clear sounds without the distraction of background noise in busy places such as airports. Simply switch on the “telecoil” setting on your hearing aids to connect. Don’t worry about stowing your hearing aids in the overhead bin. When the pilot or flight attendant announces it’s time to turn off electronic devices and stow them away, this does not apply to hearing aids. Wearing them will not cause interference with the airplane’s communication system or controls! And keeping them on will ensure you don’t miss any crucial in-flight announcements. Understand your rights. The Air Carrier Access Act of 1986 grants airline passengers with hearing loss special rights. A few of the more beneficial ones include the right to indicate your need for special assistance during the booking process, information that will be noted on the passenger manifest and distributed to flight attendants and gate agents; the right to request disability seating, usually situated closer to the front of the aircraft so you’ll be able to see the flight attendants more easily; the right to pre-board; and the right to the same communication access as other passengers, meaning airline staff may approach you directly with any important announcements if requested. 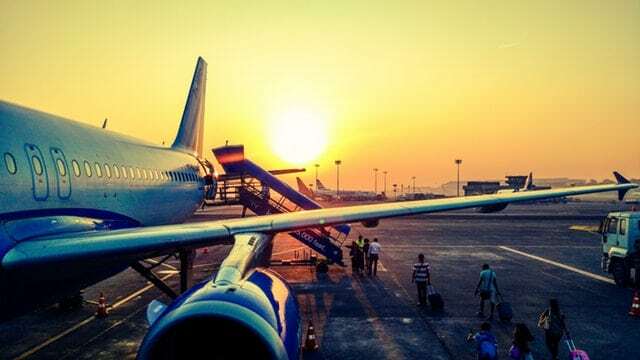 Airline travel might not be your favorite method of transportation, but if you have hearing loss, the above strategies put together by your Bay Area audiologist should help make the experience more pleasant.